What instruments are each of the four combinations made up of? We kept the ensemble small but recorded up to five combinations of sounds at a time, as this creates a much more interesting and natural response in the space itself, creating new singular sounds which couldn’t be recreated by stacking individual instruments. WHAT MICROPHONES ARE AVAILABLE IN LONDON CONTEMPORARY ORCHESTRA TEXTURES? What is an Evo Grid? For the newly initiated, Evolutions are hyper-long articulations that change sometimes subtly, sometimes radically over time before looping. We organise these on a grid so you can plot which evolution or ‘Evo’ sits on each of key range, recorded across 12 intervals, and arranged on a 10 x 32 grid. Enjoy instant gratification with an ever changing kaleidoscope of progressive articulations, with infinite possible combinations. Kontakt Player is the free version of Native Instruments’ industry-standard sampler, which you will need to use this library. You can download it for free here. I already have lots of orchestral libraries. Why do I need London Contemporary Orchestra Textures? This is an inspiring, impossible to recreate library, recorded in a one-of-a-kind location with unique orchestrated instrumentation which works out-of-the-box via our Evo Grid technology. What other Spitfire libraries will London Contemporary Orchestra Textures work well with? This library will work well with all Spitfire libraries — as a great base texture, or to add that missing atmosphere. Some libraries that we would recommend you use it with are LCO Strings, Hans Zimmer Strings, Olafur Arnalds Chamber Evolutions, Orchestral Swarm and Eric Whitacre Choir. 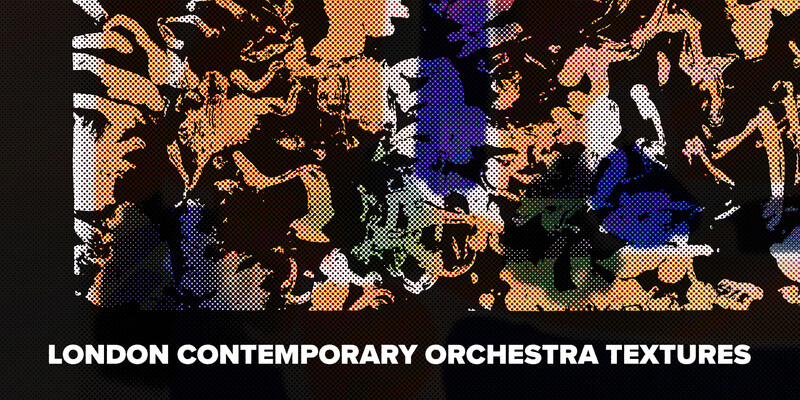 HOW LONG IS LONDON CONTEMPORARY ORCHESTRA TEXTURES ON PROMO FOR? London Contemporary Orchestra Textures is available on promotional price until Thursday 7th February 2019 at 23:59 GMT. IS LONDON CONTEMPORARY ORCHESTRA TEXTURES AVAILABLE WITH AN EDUCATIONAL DISCOUNT? Yes, this library will be available with an educational discount. You can apply for an Educational Discount here. is THERE A DISCOUNT AVAILABLE IF I ALREADY OWN LONDON CONTEMPORARY ORCHESTRA STRINGS? There is no discount available on London Contemporary Orchestra Textures for those who own London Contemporary Orchestra Strings. Once I have purchased LCO Textures, how can I install it? Once LCO Textures has been purchased, you can install the library using our Spitfire Audio Installer Application found here. Log in with your Email and Password to begin the download process. This video shows you how to install the library. How do I authorise my library? This library requires the free version of Kontakt: You can install Kontakt Player from here. After installing Kontakt, you must register the serial number in Native Access. Authorising a Kontakt Player Library is demonstrated in this video.